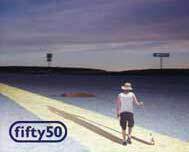 Our first album "FIFTY50" has been out since april 2001. 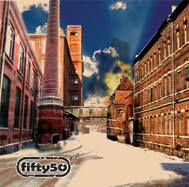 It includes 13 songs recorded in fall 1999 and fall 2000. 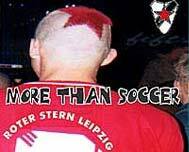 Velocity Sounds released the compilation "More than soccer". We contributed our song "to our leaders" (click to listen) on it. You will also hear songs of ((tam)), Booga, Pionear, Oppossum, Full Speed Ahead. Jumblers, Backseats, Till, Tornados and more. 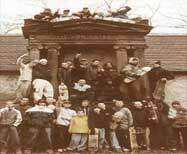 The CDis one of many steps to finance the projects of Leipzig's alternative soccer club Roter Stern. This video lets you know what's going on in the skate-scene of Halle, which is Leipzig's neighbor city. This video was produced by the one and only Blochi. We participated with our song "don't hesitate.